We have added a great new boutique cigar to the A G Cigars line-up. 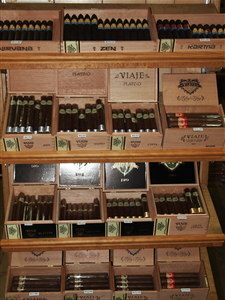 Viaje is a company known to produce cigars in micro batches and offer some fresh ideas in the industry. Viaje Fifty/Fifty Black Label - This is a very unique offering as part of Viajes core line of cigars and comes in three sizes. The idea behind the Fifty/Fifty is a cigar with two separate and distinct blends. The first half of the cigar starts as a medium blend Nicaraguan and then at the half way point changes to a full bodied smoke. How they achieve this in one cigar is a closely guarded secret and unique in the industry. Viaje Platino Label - Like all of the Viaje core line cigars, the Platino series is a Nicaraguan Puro with a Nicaraguan Corojo 99 wrapper. This cigar starts with a nice pepper and spice and is medium in strength. Viaje cigars are well made and offer a unique flavor profile. Viaje Oro Label - Definitely the fuller bodied brother to the Platino line. If you are looking for a cigar with plenty of punch and lots of flavor this is the one to get. Once again this cigar uses the Nicaraguan Corojo 99 wrapper to provide lots of flavor. The Corojo 99 is a staple of the 3 regular Viaje lines. 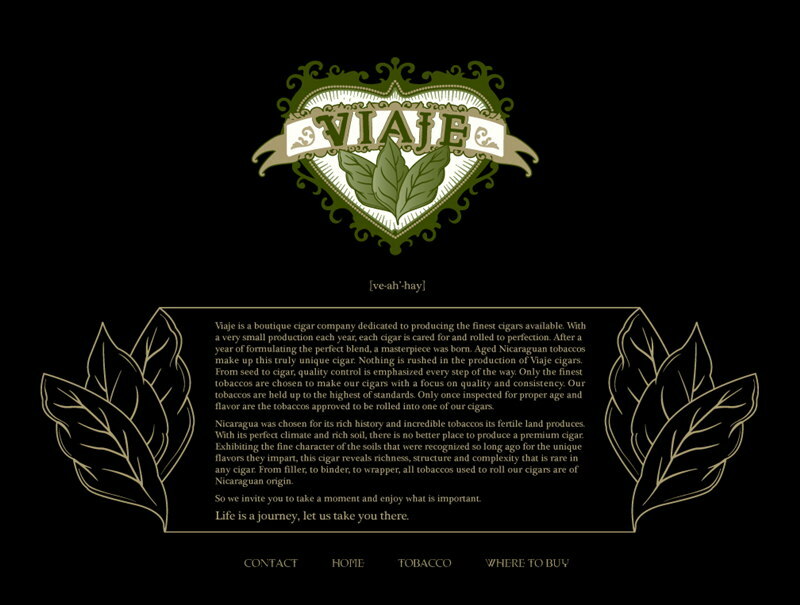 Viaje also offers several short run and seasonal offerings throughout the year. Available now is the Fifty/Fifty Red label, much like the Black Label except it starts as a medium strength and builds to a medium to full strength. Not quite the powerhouse as the Black Label Fifty/Fifty. To round out the offerings, Viaje has released the Satori as short run or small batch cigar. This Oscuro Nicaraguan is much milder than the other lines mentioned and offers a very nice balance of flavor. You definitely want to try this limited cigar before they are gone.